In this article, you can see a list of useful and the best drawing and painting apps for your iPad or iPhone. 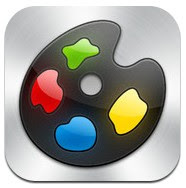 If you love drawing or painting, these apps can help you to create professional paintings on your iDevice. All of these apps come with lots of painting & drawing tools that allow you to make beautiful painting on your iPad/iPhone. Let’s see the list of top drawing & painting apps. All of these apps contain lots of features and let you make stunning paintings on your iDevice. By using these drawing apps, you can show your creativity to your friends and family members. With the help of these apps, you can create amazing paintings like professional artist. Check out these apps. 1. Inspire Pro ( iPad ) – Perfect painting and drawing app for iPad users that comes with lots of painting tools. One of the best drawing apps on the app store and it comes with tons of features such as – 50 high quality brushes in five different sets ( Oil Paint, Graphite Pencils, Airbrushes , Basic Shapes and Wax Crayons) , painting tools, easy drawing pencils and much more. Great painting app for iPad users. 2. Art Studio For iPad ( iPad ) – Beautifully designed fully functional painting and drawing tool for iPad users that comes with many useful options and tools. If you are a creative iPad user and looking for a useful painting app, Art Studio could be the best option for your device that is integrated with tons of features , including sketching, painting and photo editing tools. Very useful drawing app that has lots of features such as -16 types of painting tools, 450 high quality brushes for professional touch, selection and text effect tools, layers and 40 types of image filters. One of the most useful painting apps on the App store for iPad users. 3. Procreate Pocket ( iPhone ) – One of the best drawing/painting apps on the iTunes store and it comes with easy to draw tools for iPhone. Great app that turns your iPhone into a powerful portable drawing device. With help of this painting app, you can draw awesome paintings by using 3d touch experience. When you increase amount of your finger pressure, you can change brush size or opacity. Great app that includes lots of features such as- beautiful drawing tools, 12+ brushes, pressure sensitivity, drawing with 250 level of undo, 4k cinema canvas, layer tools, retouching options and many other features. 4. Procreate – Sketch, Paint & Create ( iPad ) – iPad version of Procreate Pocket that comes with lots of amazing features and lets you create professional paintings on your iPad. The app includes more than 128 types of brushes with 35 customizable setting, 250 levels of undo, auto saving option for your hard work, and many other features. Recommended drawing/painting app for iPad users. 5. Art Rage For iPad ( iPad ) – Professional drawing & painting app for iPad users that is integrated with tons of features such as – lots of tools , brushes , pencil, layers and painting recording function to play them back on your desktop. Fully functional painting app for iPad. 6. Inspire- Paint it ( iPhone ) – Very useful and beautifully designed painting app for iPhone and apple watch. The app has many amazing features and lets you create beautiful paintings from your iPhone and also helps you print your creation from the app. Inspire app includes 70+ brushes with customized setting, 1000 levels of undo, pressure sensitivity with 3d touch feature, 64bit color, color picker and many other features. 7. Tayasui Sketches ( iPhone & iPad ) – If you are looking for free and fully functional painting app for your iPad, Tayasui Sketches could be the perfect app for your device that is integrated with many useful options, drawing tools and painting brushes. 8. Paint FX- Photo Effects Editor ( iPhone & iPad ) – Actually this is a photo editing app that comes with amazing painting tool which can be used to create awesome photographs and paintings. Great photo app that has many features including retouching tool, editing tool, brushes and more.